Finance your dream home in Bryan / College Station, Texas Imagine buying your dream home. Connect with a lender to help you make it happen. Our team of local financing experts are ready to guide you through the home buying process. We are committed to fast, professional, courteous and personal service to help you understand and feel at ease throughout the home buying process. Our trained and certified loan originators specialize in financing homes in the Bryan / College Station, Texas area real estate market. We are prepared to find the right loan program with competitive rates and low down payments for you. Educated. In 2006, Money magazine named College Station the most educated city in Texas, and the 11th most educated city in the United States. College Station is home to Texas A&M University, which is a Land, Sea, and Space Grant recipient and home to the largest engineering school in the country. The local school districts have also won an impressive number and variety of awards. All of this speaks to the breadth and quality of research and learning occurring right here in our city. Young. According to the 2000 census, 86.9% of the College Station population was age 44 or younger, and the average family size was 2.98. Employed. In October 2013, the unemployment rate in Bryan/College Station was 5.2%, which was well below the national average of 7.3%. Business and technology companies are flocking to College Station to find and engage the best and brightest coming out of Texas A&M. This is a testament to the crucial role that Texas A&M plays in the area as an educational institution and one of the biggest employers in the area. Educated young adults who have started a family (or are thinking of starting one) represent a huge proportion of individuals seeking Realtors in College Station Texas. The Tradition Group knows that these young families have unique preferences and requirements as far as home size, features, and location are concerned. There are a lot of options available when it comes to selecting a Realtor in College Station Texas. Rest assured that our real estate agents know the Bryan/College Station area inside and out, and will tirelessly strive to find just the right home for each client we serve. Whether you are looking to upgrade or downsize, whether this is your first real estate purchase or just your latest acquisition to expand your portfolio, The Tradition Group stands ready to serve your needs better than the competition. Making The Tradition Group your Realtors in College Station Texas means that you are choosing decades of experience and innovation in the local real estate market. Contact us to get started on the path to your next home or investment property. Please do not submit any confidential information. 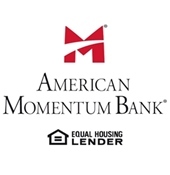 This will be shared with both American Momentum Bank and RE/MAX 20/20. Let me know how I can assist you with your Bryan / College Station, Texas mortgage needs. I am here to help!